When a widow clinging to her past meets a lawyer running from his guilt, can the roots of pain and loss bloom into new love? Nate Redmond, a former Manhattan lawyer, is eager for a fresh start in small-town Missouri. With his extensive background, arranging the sale of outdated Rose Park for retail development looks easy--the perfect way to help the town fund the larger recreational space it needs. His role in the deal might even impress Abby, the pretty new neighbor he feels so drawn to. But as Nate and Abby clash over the park, more serious obstacles threaten their relationship. Mistakes that Nate had hoped to forget continue to haunt him. Abby comes face to face with her failure to forgive. And how can Nate compete with the memory of a decorated war hero? When the park battle brings on a crisis, can they each find the courage to believe in a God of second chances and a future where their love can grow? 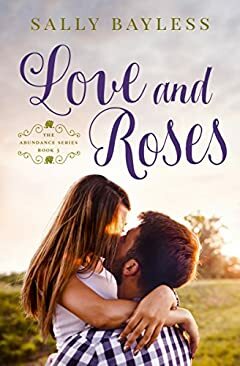 "Love and Roses" is a stand-alone contemporary Christian romance novel and is the third book in The Abundance Series by Sally Bayless. If you like sweet, small-town love stories with a touch of humor and characters with real-world problems, you'll love this uplifting story of second chances. Buy "Love and Roses" to start this heartwarming inspirational romance today!